We offer cake, cookie and cupcake gift basket delivery services for Smyrna, Georgia. You can see who we have provided cake, cookie and cupcake gift basket delivery services for around Smyrna, Georgia below. Please contact us if you have any questions. Testimonial: Thanks so much! Everything arrived on time and great condition. Everyone has been raving about the cookies! I will definitely refer you and use your services again in the future. Testimonial: We really like you company and look forward to using you more often for client gifts. 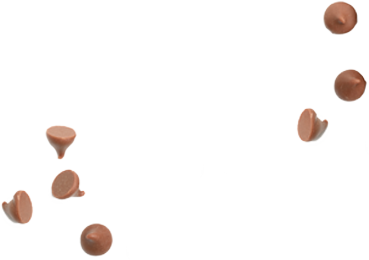 Testimonial: Thank you for the cookies, it was very thoughtful and they are very good. We havealready gotten several calls thanking us and saying how good they are. Testimonial: Thank you so much, you have been great. You definitely have a customer for life from Direct Settlement Services. Your service and your products are impeccable; I will continue to refer everyone I know to you. Testimonial: I received the cookies and brownies today-Yummmmmmy. Everyone absolutely loves them! Other portfolio sections for our work which we've done near Smyrna, Georgia include Marietta, Georgia, Mableton, Georgia, Sandy Springs, Georgia, Powder Springs, Georgia, Brookhaven, Georgia, Lithia Springs, Georgia, Dunwoody, Georgia, Kennesaw, Georgia, Midtown Atlanta, Georgia, Buckhead, Georgia, Atlanta, Georgia, Druid Hills, Georgia, Roswell, Georgia, Decatur, Georgia, Woodstock, Georgia, Acworth, Georgia, Douglasville, Georgia, Alpharetta, Georgia, Dallas, Georgia, and Milton, Georgia. Even though they did not get their own portfolio section, we do also serve the nearby cities of Fair Oaks, Vinings, Austell, Chamblee, Doraville, Hiram, Avondale Estates, Hapeville, Gresham Park, Panthersville, Holly Springs, and Emerson. "Thank you for all your awesome service! 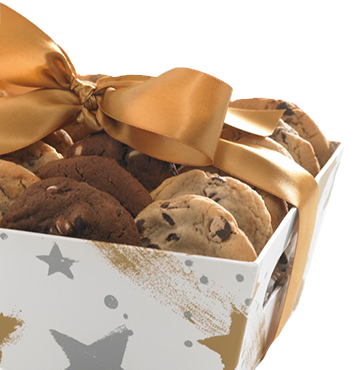 Our clients love the cookies and the convenient process of ordering them is wonderful!" "Cornerstone Cookie Company is just a pleasure to work with! They have numerous selections to choose from and ideas to really make a lasting impression for our tenant gifts. Each and every order we have made with them has been tasteful and delivered in no time to please our tenants. They truly make doing business a no hassle and "sweeeet" experience!" I just wanted to let you know that everything was AHHHHHHHHHMAZING! I have never tasted so much “yumminess” in all my life. The chocolate peanut butter cupcake was sinful and perfectly made. Everyone at the shower was “Oooohing and Aaahhhing” over them. I gave your name out to plenty of people! Thanks for the wonderful goodies! Thank you for your continued excellent customer service! We greatly appreciate all of your efforts. "Cakes were beautiful AND delicious!" I just wanted to let you know that I have used your company for many personal and business gifts and every one of them has been a big hit. I have recommended your cookies to lots of people and hope you have much continued success. Great cookies and brownies. Thank you so much! The cookies arrived exactly on time last Wednesday and the packaging was perfect! They looked beautiful and Genna matched the ribbon for the placecards on the table, so everything looked wonderful. The cookies tasted great too!! Thank you so much, it was a pleasure working with you. Thank you for all the personal care. The wedding itself was beautiful and all are happy. Bev McCue, American BOA, Inc.
© Copyright 2019. Cornerstone Cookie Company. All Rights Reserved.